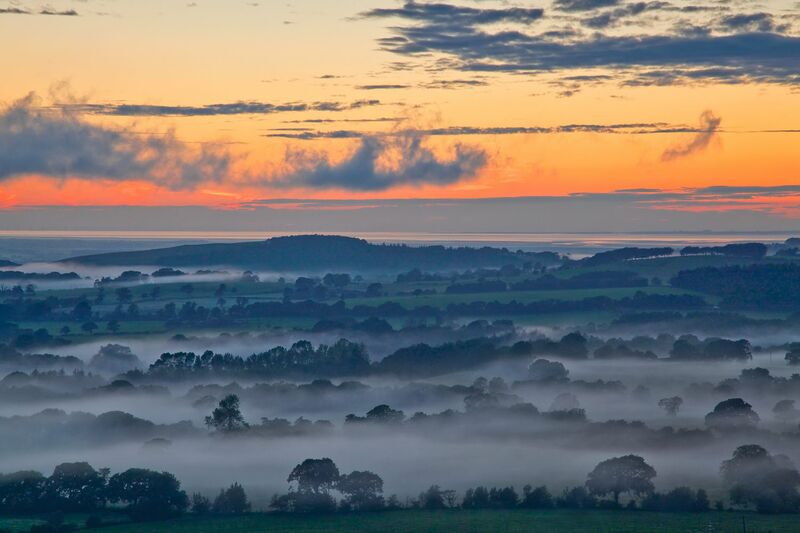 Sunset over Morecambe Bay, Lancashire and the Fylde plain from Beacon Fell Country Park. This country park is very near to my home. When I can see a great sunset coming over the Fylde Coast, I can just about pack up my photography kit and get here in time if I'm lucky. But the lanes around here are very narrow and windy so it isn't an easy task.